This fifteen-acre heavily sloped site is located at Veteran and Weyburn, southwest of the main UCLA campus and facing Los Angeles National Cemetery. It was programmed for 1,200 units of housing for single graduate students, professionals and upper division undergraduates. 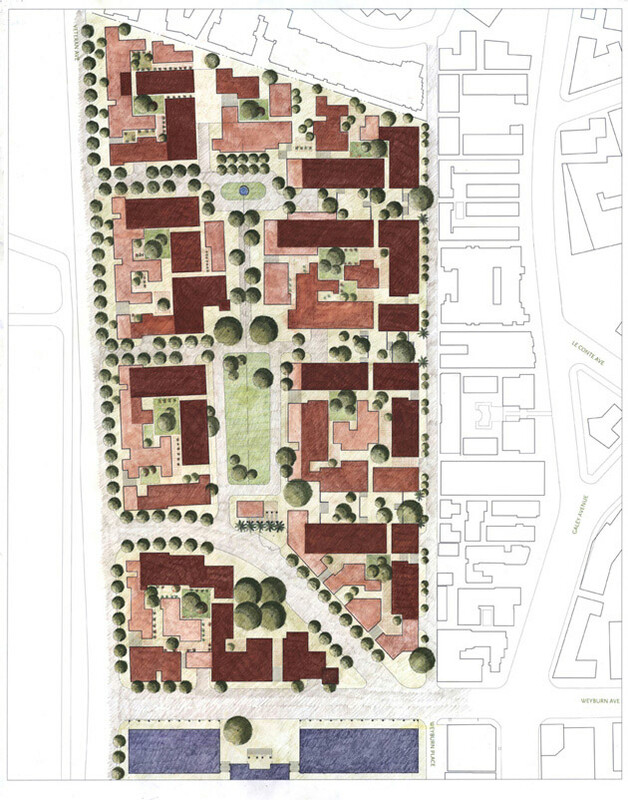 The master plan was designed to incorporate 525 two-bedroom units, 375 one-bedroom units, 300 studios and 1,375 partially below-grade parking spaces. The project’s commons faces a large central green and offers amenities such as a convenience store, recreation room, exercise center and academic classrooms. 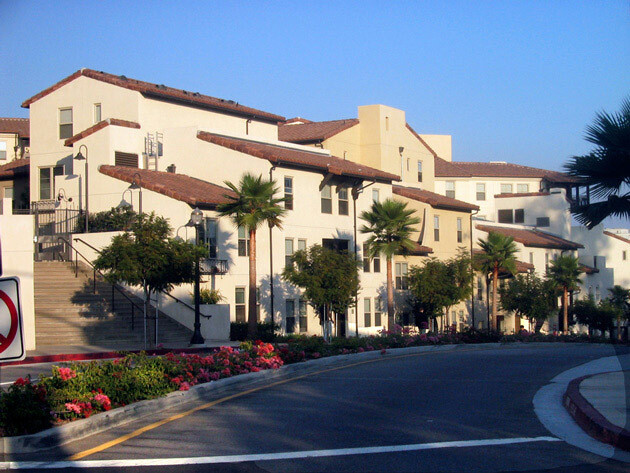 The housing, inspired by Los Angeles traditional courtyard housing, ties into the urban fabric of the surrounding Westwood Village neighborhood.